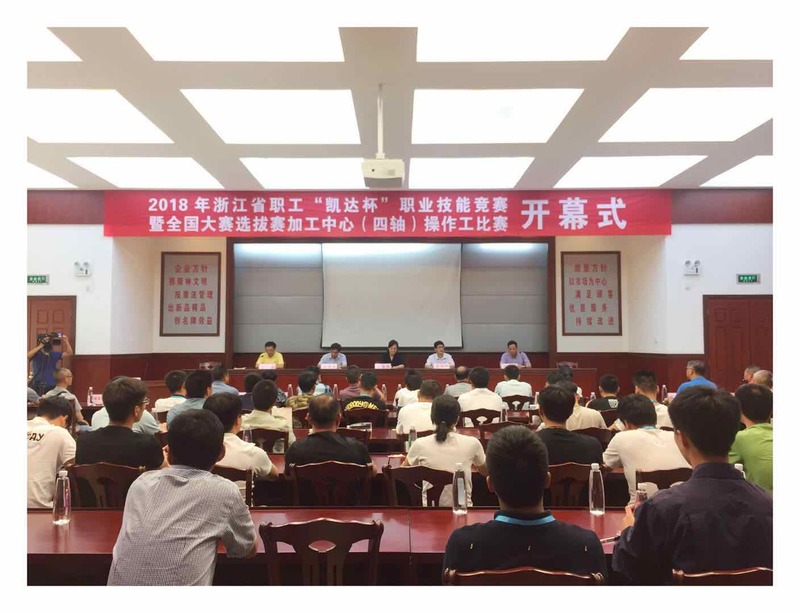 In order to bulid a team of knowledge-based, technical and innovative industrial workers who adapt to province's economic transformation and upgrading, Zhejiang Federation of trade unions decided to hold "2018 Zhejiang Vocational Skills Competition for employees". The skill competition covers 71 occupations. 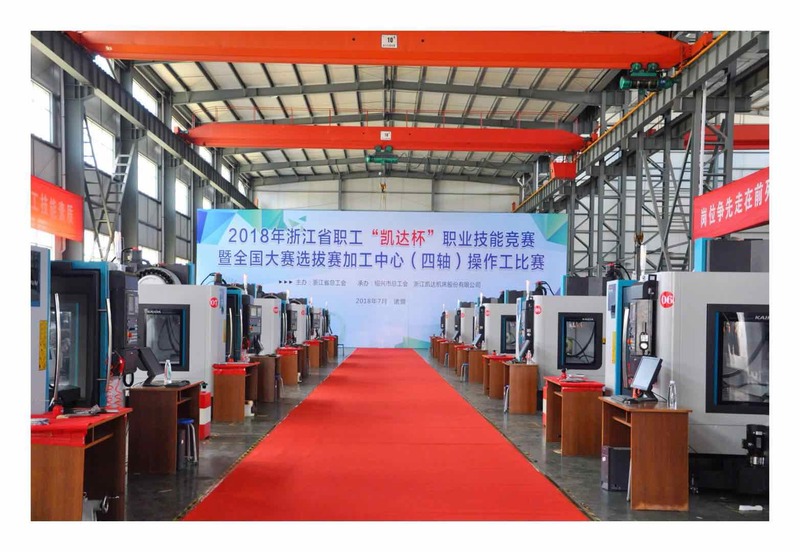 The winners of top three are awarded the "Zhejiang Golden Blue Collar" tital. Meanwhile they will be on behalf of Zhejiang province to attend the national competition. 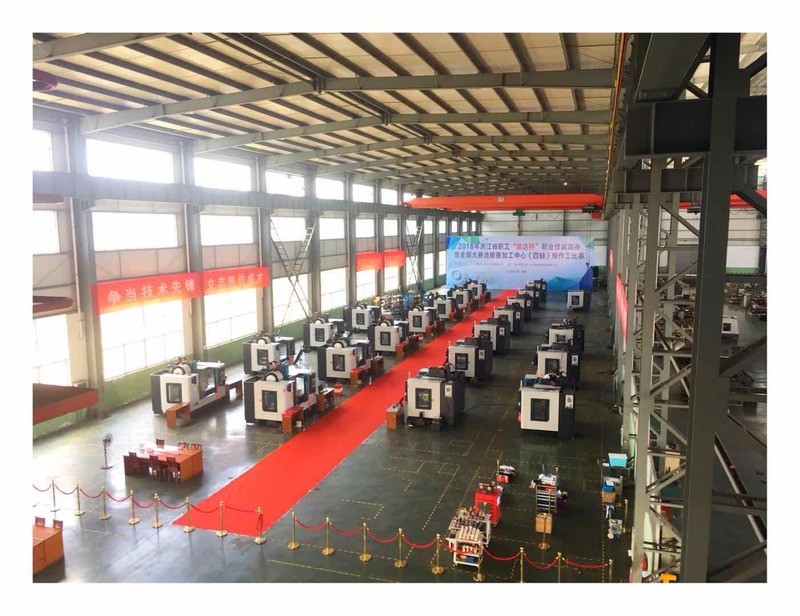 It is a great honor that the competiton of 4-axis vetical machining center vocation skills is hold in our factory on July 10-11th, 2018. 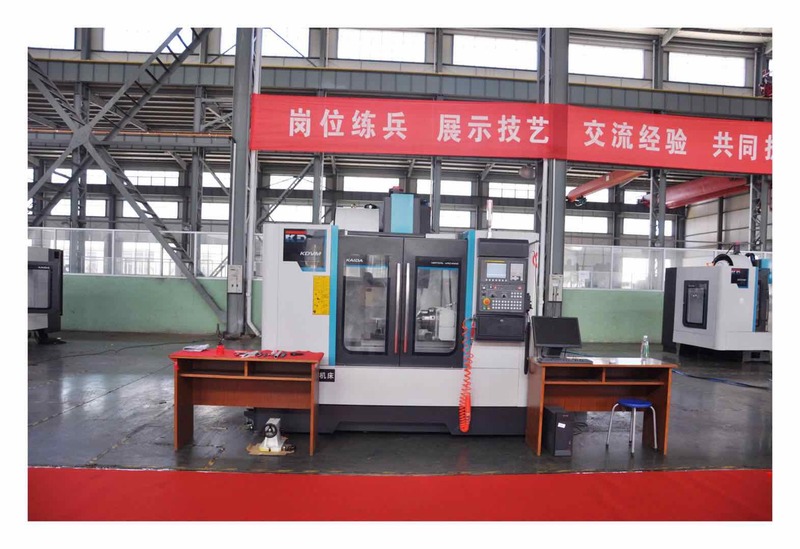 All the 4-axis vertical machining centers KDVM1000LA model which is used in competition were produced by our company.